This is a project that we completed for a client in La Costa. They selected a 5" Lauzon African Sapele in the master bedroom. Rich subtle tones of gold and red create a stunning and unique floor you can be proud of. 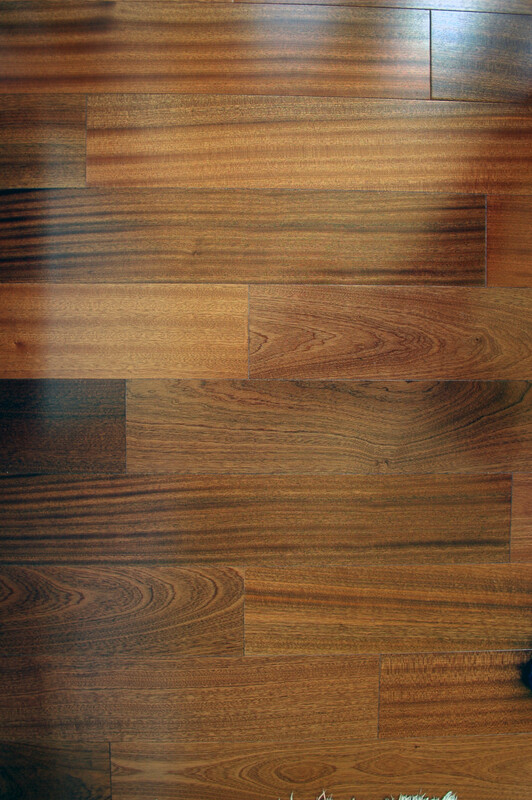 This photo should give you a great idea of how this floor would look in your home. 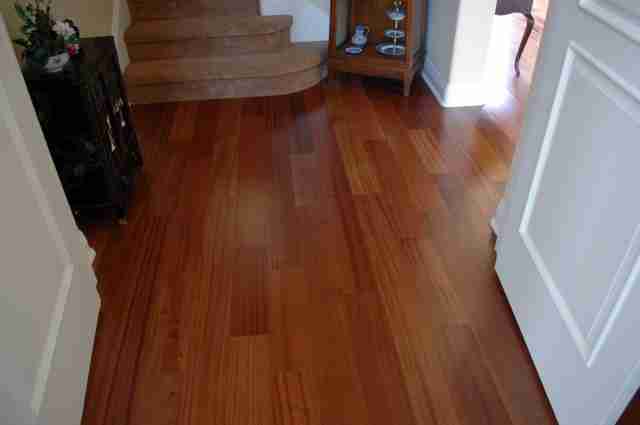 We also have this same 5" Lauzon African Sapele floor installed in our hardwood flooring showroom in Solana Beach.